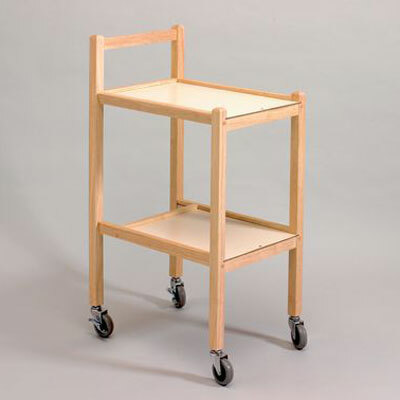 The Standard Newstead Trolleys have a beech finish with two shelves. The lower shelf has a cut away section to allow easy and safe walking. It is also made so that it is easy to transfer food. The Compact Newstead Trolleys have a beech finish with two shelves. The lower shelf has a cut away section to allow easy and safe walking. It is also made so that it is easy to transfer food. Available with large or small castors. Castor Size Small - 1¼" Large - 4"